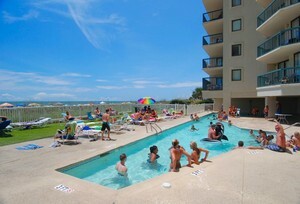 Ocean Bay Club is one of North Myrtle Beach's most requested properties, located within walking distance to Main Street in the Ocean Drive Beach area. These 1, 2, 3 & 4 bedroom oceanfront condos are a popular choice due to the fabulous location as well as the premiere on-site amenities, including a beautiful oceanfront pool, kiddie pool, lazy river, hot tub, fitness center and more. 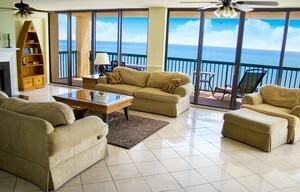 With spacious interiors and sprawling oceanfront balconies, Ocean Bay Club is a wonderful choice for an investment property. Visit the Condo-World Sales office or call us today to learn more about the real estate opportunities available at Ocean Bay Club!